Joel and Ethan Coen do a fine job of making us feel the experience of a fictional Greenwich Village folk singer in their new film Inside Llewyn Davis. We feel sorry for this poor schlub who can barely score a bed to sleep in, much as much less a gig for a meal or two. This is the way it was for Dave Van Ronk and probably many other striving troubadours who believed in the need to get out there and sing something with their guitar in front of a bunch of people who seemed to care about something happening in the smoky air, and in the music. That something was happening slowly, but right then it was more like people priming things, tending to the fire until a great talent came along to crash in, to stir the fire into something extraordinary. So the Coens opt for a curious indirection in this movie. The pathos laid on the doorstep of this folksinger is a spot-on critique of the problems of the scene, but also does a disservice to real-life talent like Dave Van Ronk. I never saw him live, but just listen to his recordings. He was never ever a pouty, pity-pot musical moaner like Llewyn Davis and the other self-absorbed young people who provide fodder for legitimate criticism of the era’s white folkies. The brother-directors also make clear another variation of the problem: all the crew-cut, knit-sweater wearing collegian folk-star wanna-bes who have no real sense of tradition or suffering, or of the true American story that would generate over decades what we know as roots music today. He nails ‘em. And yet, if Joe Blow sees this movie with no awareness of what’s happening in roots music today he might shrug it off and go back to listening to his Top 40, or whatever he listens to, none the wiser. I’m somewhat less impressed than others with the music here, despite the redoubtable presence of music producer T-Bone Burnett’s guiding hand. Perhaps he and the Coens felt it was impossible to directly evoke Davis’ model, Dave Van Ronk, who was priming the times with a deeply knowing and passionate exposition of the roots music tradition, less understood then as it is today thanks to passing time, increased scrutiny and a remarkable cultural flourishing. But listen, for example, to the real-life folk-blues-jazz singer doing the song “River Come Down” on Dave Van Ronk The Folkway Years 1959-61. 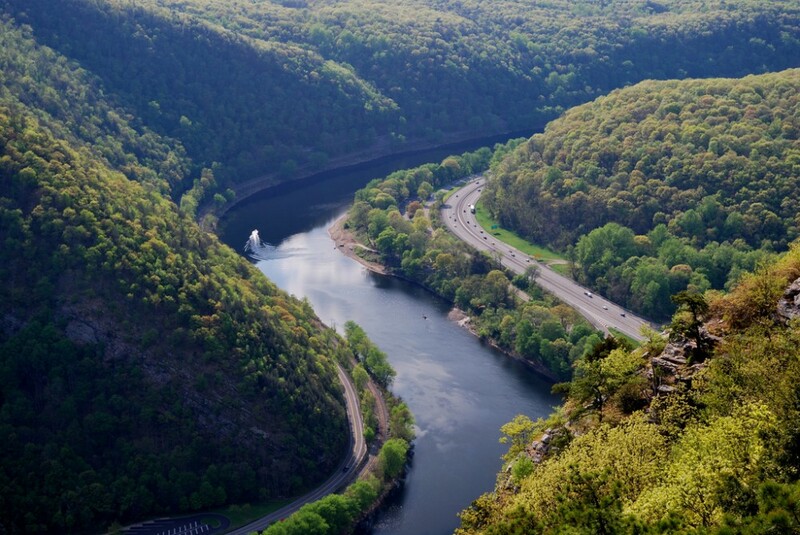 He heartily evokes a river as a kind of siren spirit, calling to him when it seems to be his home across the river calling to him, and a woman named Anna. Or is Anna the river, the dangerous siren temptress? We all know the sorts of temptations that led archetypal and ordinary Americans, as well as their institutions, astray. Van Ronk’s rendering of the song is a powerful bit of national myth making, and yet it’s as bare bones in its storytelling tone as taking a “stick of bamboo” and throwing it in the water to see how it flows. Van Ronk had an irrepressible spirit and a bearish voice, miles beyond the simpering, if-at-times-soulful musings of our fictional Mr. Davis, who is supposedly based on The Mayor of MacDougal Street, Van Ronk’s autobiography of his years of struggling to make it as a folksinger in early 60s Greenwich village. There’s plenty of wonderful atmosphere in the movie, which lends a romantic patina to the story. And yet the directors succeed in not over-romanticizing either, despite their questionable choice of a lead actor-singer, and character type. I mean, this dude is also sort of a nasty personality, resentful of others’ success and often unappreciative of generosity. Were folk singers back then like this? Doubtlessly some of them were, as flawed human beings like most all of us. So the movie renders a delicate balance to convey sympathy and antipathy for this character. Lord knows the Coen Brothers have great affection for these American folk vernaculars, as they demonstrated in their marvelous bluegrass-drenched movie O Brother, Where Art Thou? So, in a sense, this whole story hinges on a subtle but almost miraculously striking and vivid moment of magic near the end of the movie. 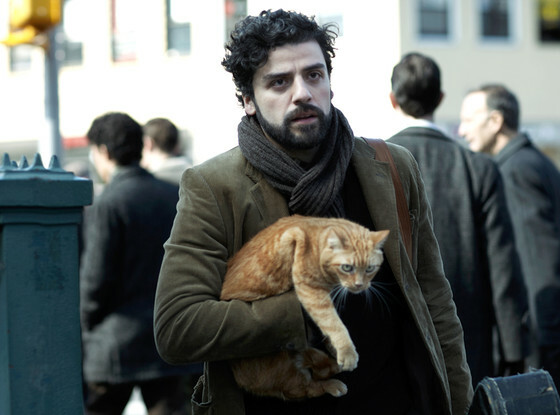 Llewyn Davis has had another shot at the nightclub mike and seems to be wandering off to the next thing that happens in his life. The next act gets up naturally to sing some songs. We just see this figure’s shadowy silhouette but the high, reedy voice is unmistakable. Time seems to stand still, and start up completely new. The hairs on the back of your neck rise: You realize this is the moment that Bob Dylan arrives in Greenwich Village to become the musical messiah who would lead us to the great counter-cultural odyssey and to a certain enlightenment, and surely to the vast realm of teeming culture we know as roots music today. I think the movie works finally because of this deft H-hour gambit, less of a Hail Mary pass than something that just happens like combustible energy, like maybe an improbable last-minute interception, to push the sports metaphor. Dylan disrupts all the era’s water-treading self-consciousness and silliness. Most of us know the strange, incantatory effect of early Bob Dylan. The voice wasn’t impressive in purely musical terms, but it was honest, wheedling and bracing. He’s rummaging through the some of the old blues repertoire that Van Ronk was mining but what sets Dylan apart are his original lyrics, unfurling from a faintly arrogant sense of purpose and truth in his young, brackish voice. Nobody completely understands the bramble bush of lyrics, perhaps not even Dylan himself. But the new songs are transformative because they capture the spirit of the time, at first by becoming very political and then pulling back, knowing how much the personal is also political. Dylan was an authentic dissenter, a self-styled pseudo-cynic and a hopeless romantic all in one. Perhaps that was what the better angels of the national spirit understood as the authentic American, in that peculiar Cold War era that prompted Dylan’s Talkin’ World War III Blues. The national spirit was also curdled with ugly, festering racism, which was about to bust wide open as a raging wound of American conscience, with the help of Dylan, Martin Luther King Jr., Malcolm X and many, many more. What a time. What a country. That story is pretty well known, so the way that the Coen Brothers underplay Dylan by not even identifying him seems perfectly parsed and placed. So if it takes you back to Dave Van Ronk records and to your early Dylan records, the movie has succeeded. 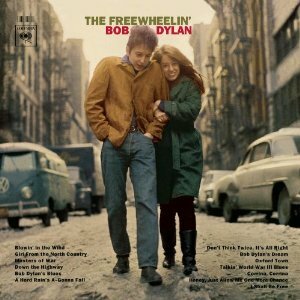 As soon as my Van Ronk side finishes I’m probably headed for The Freewheelin’ Bob Dylan. One of the other deftly inserted scenes is of Llewyn Davis toting his guitar down the middle of a Greenwich Village street. 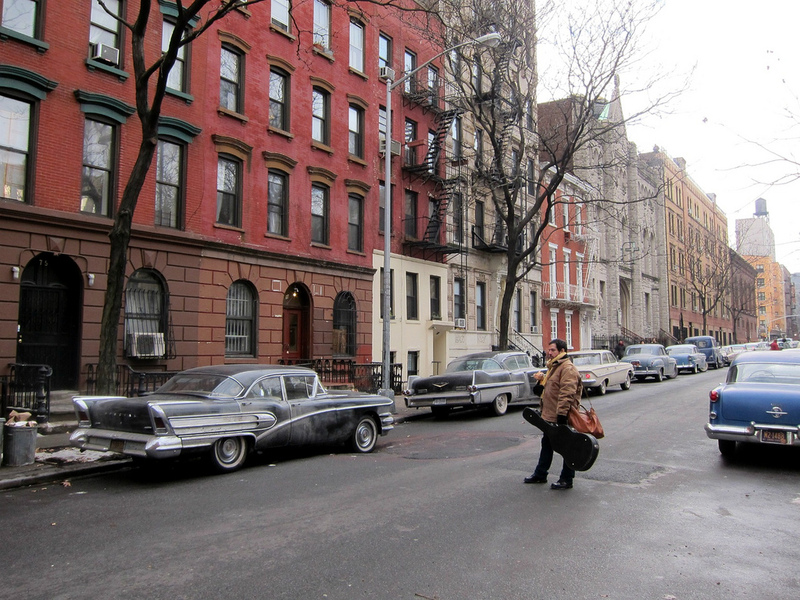 You recognize the camera angle and setting: It is the same chilly street that Dylan and his girlfriend Suze Rotolo promenaded down through the winter slush, arm in arm, when somebody captured them in a photo that would become the cover of The Freewheelin’ Bob Dylan. And if my thought-dreams could be seen/they’d probably put my head in a guillotine/but it’s all right, Ma, it’s life, and life only! The times they were a changin’. And this movie gets the particular time freeze-frame right, just about. But it’s all right ma, it’s only the movies. There’s always the music. I continued to be amazed by the strong quality and artfulness in vernaculars presumed to be mere “folk” musics. These rankings make some fine distinctions between albums but the points stick, for me. Tedeschi-Trucks’ extraordinary blues-R&B-jazz-rock collective tops the list for all its musical artistry and exuberance, to bolster the high level of lyric writing one expects of today’s roots purveyors. 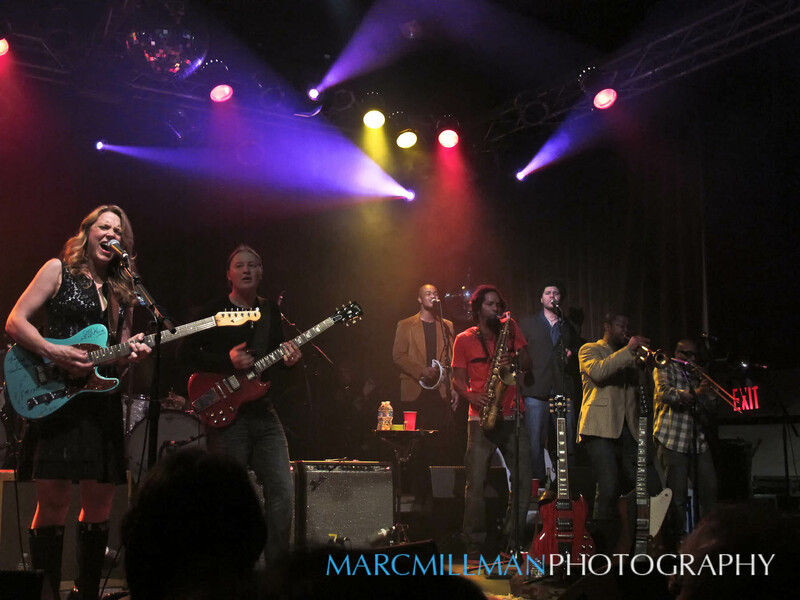 Vocalist Susan Tedeschi’s clarion calls to the spirit and Derek Trucks’ charged guitar emissions send them driving past safety and sometimes high to the sky. By contrast, among the honorable mentions, Jason’s Isbell’s widely and justly admired Southeastern, for all its painful poetry, felt too claustrophobic and personal to be universal. Actually, well-known troubadour Steve Earle deserves a Top Ten slot. He’s the Russell Banks of roots music, a storyteller of dispossessed, working class, suicidal, even homicidal lost souls — and The Low Highway stands as an indictment of our economic and political system. And John Mellencamp and Stephen King’s Southern Gothic melodrama Ghost Brothers of Darkland County worked brilliantly onstage, and is well worth the star-studded recording. But for the final Top Ten, I opted for a few still-underappreciated veterans like Rory Block, Mary Gauthier and Robbie Fulks, and to acknowledge the extraordinarily realized promise of Holly Williams and the 23-year-old Laura Marling. The mighty Tedeschi-Trucks Band live at the Highline Ballroom in New York. 1. Made Up Mind – Tedeschi-Trucks Band (Sony Masterworks) This naturally great live band became savvier in their second studio recording. Does it meet the song and musical peaks of Revelator? The lyric content and musical arrangements seem better contrasted and more deftly woven, no more so than in the dizzying neo-Motown chorus of “Part of Me.” This, razor-sharp, vocals-and-horns wiggle is The Musical Buzz of the Year. Yet in “Sweet and Low” Susan Tedeschi’s agonizingly tender testimony of a naked heart almost dares not disturb its intensifying poignancy, yet it feels exquisitely and piercingly true. The whole album’s top notch, but on “The Storm,” the heart on the song’s sleeve never gets blown off of this Florida hurricane evocation. Rather, the driving Allmans-meet-Hendrix ride-out jam only steels spiritual resolve. 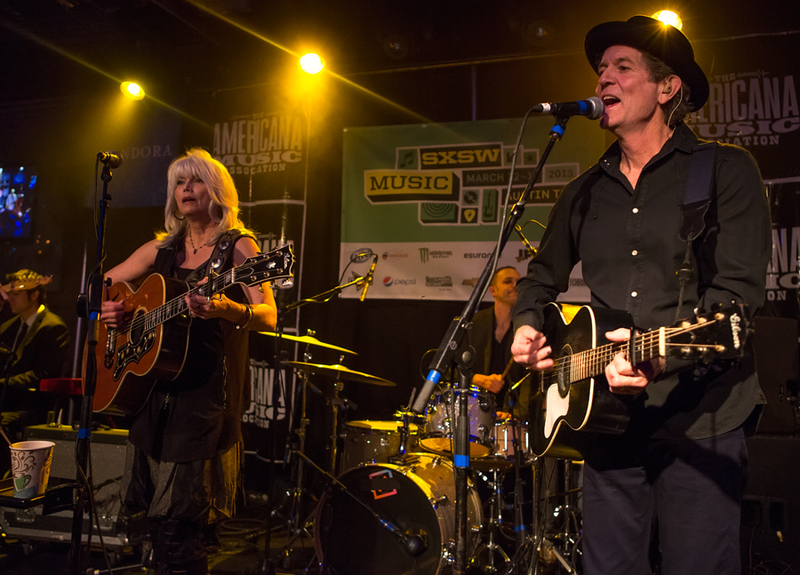 In sum, well-crafted songs – including guest co-writers Doyle Bramlett II, Gary Louris and Eric Krasno — adorn a musical monster digesting the souls of eight multi-hued folk, an astounding guitarist and a gifted, heart-busting woman. Hear them roar, and whisper. 2. The Highway — Holly Williams (Georgiana) Is she the best singer in the storied Williams clan? That’s heresy to Hank Williams Sr. lovers. 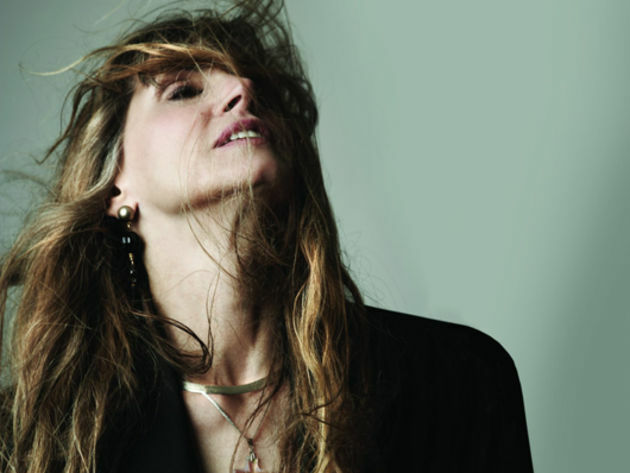 But Holly’s so good a singer because she never bends her powerful pipes beyond the emotional/storytelling point. She’s learned from grandpa Hank and probably Emmylou and Lucinda, but she’s her own dang songwriter: She can push a country trope hard while easing the reins with a taut, heart-lacerating lyric. There’s vocal harmony help from Jakob Dylan, Jackson Browne, a slightly sweet Gwyneth Paltrow and perfect-match Dierks Bentley. 4. Honky Tonk — Son Volt (Rounder) Jay Farrar’s singing carries a heft that sometimes feels like a tragic lifetime, but it still strives for the sunlight hiding just outside his soul. Oft-played on my box, this CD personalizes a tribute to Bakersfield honky-tonk, with Son Volt nailing the style’s deft curves and tart accents. Yet forlorn Farrar lures you to follow him, like a beleaguered scout who’s lost his way, but not your faith. 5. Live At Blue Rock – Mary Gauthier (In the Black) Hearing this woman live (which I have) is like experiencing a woman rip off the hinges of the doorway with the force of her storytelling. And when she gets into the room she can lay all the chatter still with the well struck metaphor and guitar chord, plumbing the pain caught out in the rain. 6. Gone Away Backward – Robbie Fulks (Bloodshot). Fulks displays unprecedented musical and emotional range, even given the ironic fatefulness that seems to pervade, from the album’s title to the lyric:It’s a short life and a long time underground, I’ll trade you money for wine. Fulks’ bracing voice, by turns tough and tender, rides music by ace string players like Jenny Scheinman and Robbie Gjersoe. Neo-traditional bluegrass at its best. 9. Once I was an Eagle — Laura Marling (Ribbon Music) British-born Marling channels Joni Mitchell and Pentangle while dwelling deep in her own hypnotic vision. She can imagine being an eagle, while capturing life’s vagaries and specific scenes with that creature’s sharp eye: “Thank you naiveté for failing me again.” From the stunning five-part opening suite onward, the listener moves in and out of simmering eddies. Yet her resourceful band provides vivid contrasts of color and mood that never upend the delicate balance of her ethereal pursuit. 10. Avalon: A Tribute to Mississippi John Hurt — Rory Block (Stony Plain) Part of her country blues masters series, few albums begin with such glowing and heartfelt ode to an inspiring giant. And just as few find pathways to truth like those forged by Mississippi John Hurt. Ms. Block delivers the thrumming bounce of his guitar and his spirit, thumbing a ride on down the road. If there’s a hunk of granite — a man who embodies the foundation of jazz in Milwaukee — it’s guitarist-bandleader-educator Manty Ellis. He’s payed a lifetime’s dues and earned vast respect from, influenced and taught several generations of musicians. His style is deeply grounded in Wes Montgomery and John Coltrane, yet his muscular, rhythmically charged inventiveness draws parallels to James “Blood” Ulmer and legendary Canadian guitarist Sonny Greenwich. 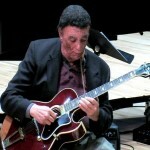 He co-founded the Wisconsin Conservatory of Music’s renowned jazz program with Tony King and has performed with numerous jazz greats, including Sonny Stitt, Eddie Harris, Stanley Turrentine, Frank Morgan and Richard Davis and taught such celebrated Milwaukee natives as Brian Lynch, Carl Allen, Sonya Robinson and Jeff Chambers. He’s been a recipient of Arts Midwest’s jazz master award and, at 80, remains very active on the local scene. So it makes sense to see Ellis trying to lay groundwork for the Jazz Foundation of Milwaukee. The fledgling organization will debut with a fund-raising concert by his quintet at the Jazz Gallery Center for the Arts, the community-oriented non-profit arts facility at 932 E. Center St. at 7:30 p.m. Saturday, Dec. 14. Admission is free with a $5 suggested donation. The foundation and the Jazz Gallery are functioning in close symbiosis, with proceeds going to the non-profit Riverwest Artists Association, which operates the arts center. This too, seems a good fit, being a multi-arts venue that has evolved into a serious listening space without a bar and with the addition of a baby grand piano. Plus, the venue’s visual arts exhibits might help contribute to fundraising efforts. 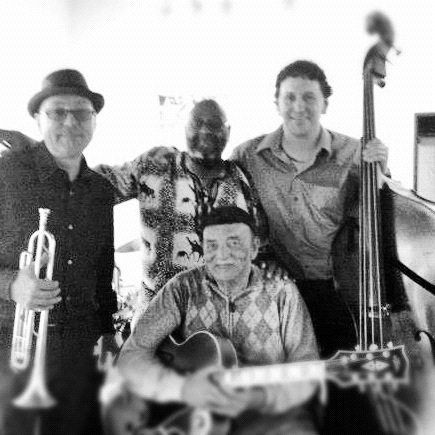 Grammy-winning trumpeter Brian Lynch (left) led this quartet featuring his former teacher Manty Ellis (center, lower) bassist Jeff Hamann (right) and drummer Sam Belton. Ellis hopes to draw on the deep historical cachet of this venue’s previous musical incarnation as the Milwaukee Jazz Gallery, a nightclub which presented a galaxy of national and local talent in the late ‘70s and ‘80s. Vintage photographs of famous musicians who performed at the original Jazz Gallery will be on display for the JFM concert. Yet Ellis values the fact that liquor is no longer served here. Ellis’ quintet blends established and fast-rising talent, including trumpeter-flugelhornist Jamie Breiwick, bassist Jeff Hamann, pianist Ken Kosut, saxophonist Sam Fettig and drummer Romarcus Jones. Hamann, a musician possessing impeccable swing and technique, is perhaps the city’s pre-eminent jazz bassist, an in-demand clinician and a judge at numerous jazz competitions. He’s has worked with Frank Morgan, Eric Alexander, Marlena Shaw and Steve Allen and in the Wisconsin Conservatory faculty ensemble We Six. He may be best known as the bassist on Michael Feldman’s popular NPR program Whad y’ Know? The Manty Ellis Quintet at the Jazz Gallery on Dec. 14 will include in-demand bassist Jeff Hamann (far right), here accompanying vocalist Cassandra McShepard at the Blu nightclub in Milwaukee. Courtesy youtube.com. Breiwick is one of the most gifted and ambitious young musicians on the scene, as leader of several groups, including the jazz/alt-rock band Choir Fight, a Thelonious Monk repertoire band called Dreamland, and the more exploratory Lower Lakes Trio. The Jamie Breiwick Quartet’s critically acclaimed recent Blujazz label CD Spirits was recorded live at the Jazz Estate. He’s also a co-founder of Milwaukee Jazz Vision, the musicians’ organization which promotes jazz citywide with concerts and a sophisticated website. 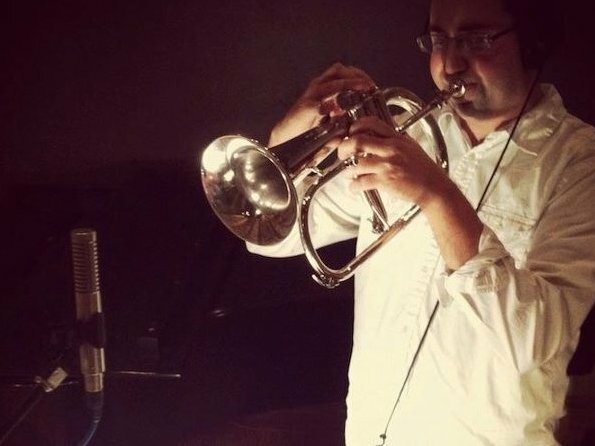 Fettig is a middle-school band director in Fort Atkinson, and a UW-Whitewater alumnus who’s worked with Gerald Clayton, Roy Hargrove, Steve Einerson and at the Thelonious Monk Institute. Kosut is the other longtime veteran in the group, and currently plays piano for the All-Star Superband, Milwaukee’s leading big band. Drummer Jones is an up-and-comer who gigs frequently at The Jazz Estate and The Highlander with Breiwick, Russ Johnson, Neil Davis and others. Ellis envisions foundation performances extending into nursing homes and schools through the Jazz in the Schools program and drawing from the city’s burgeoning young youth talent, particularly from Milwaukee Youth Symphony Orchestra jazz program. Ellis has been literally instrumental in the development of the Jazz Gallery by overseeing the Tuesday night jam sessions which are built round musicians in the WYSO program and which steadily has gained artistic and popular momentum. “Last night we had about 40 people there for the jam session and we had several artists doing drawings of the musicians,” says Jazz Gallery director Mark Lawson, who curates the center’s monthly art exhibits and is also gallery curator at the Milwaukee Institute of Art and Design. The successful model for the foundation is the The Jazz Foundation of America. 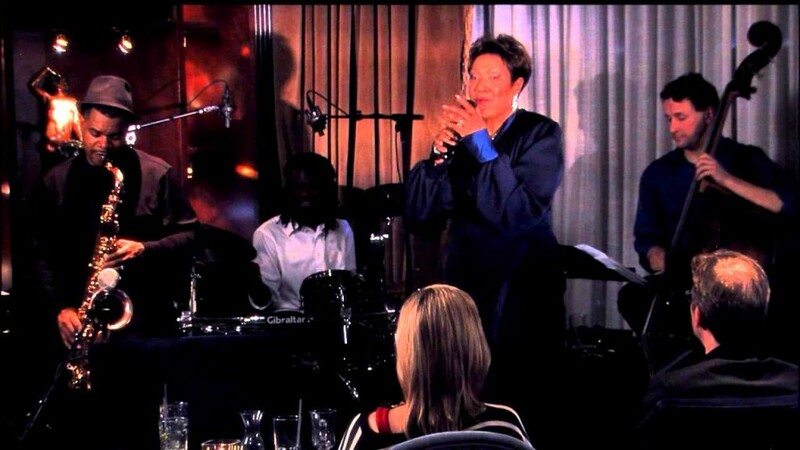 Incorporated in 1990, the organization formed due to address the urgency of helping elder jazz musicians in need. This is pertinent in light of our troubled economy and the fact that most jazz musicians go without adequate health insurance or job security through most of their careers. The art form exists in a sort of economic limbo between the far more subsidized classical performing arts and more commercially viable pop musics. Time-honored jazz musicians have been dying off increasingly in recent years, and the need for support persists in a city like Milwaukee, where most jazz veterans have served as valuable educators to new generations of musicians capable in varying genres of music. The east-coast based JFA has given Ellis, one of its few Midwest representatives, the project of helping revive the Jazz Gallery. What’s still missing from the hybrid of the new JFM and the Jazz Gallery is sustainable funding. Lawson knows there are financial “angels” in the community. “It’s a matter of gaining visibility,” he says. “But I’m confident we’ll get this happening.” He’s encouraged by recent gigs like singer Jackie Allen’s SRO crowd and trumpeter Philip Dizack.